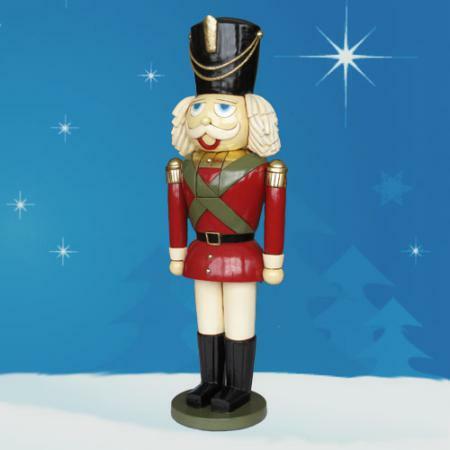 Heinimex Small Nutcracker Soldier - Outdoor - 32in. 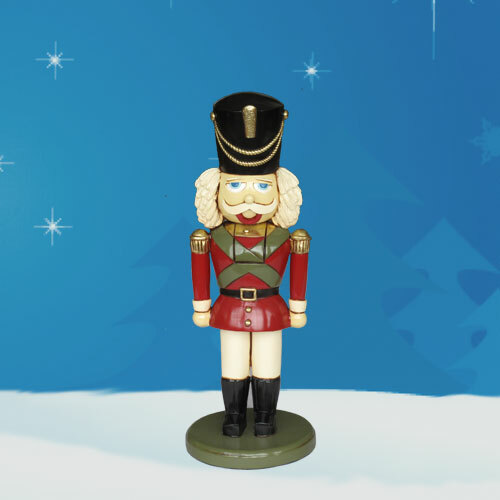 Measuring just 32 inches tall, this small Heinimex Outdoor Nutcracker Soldier is the perfect size for your small outdoor holiday display or nutcracker-themed interior Christmas décor. 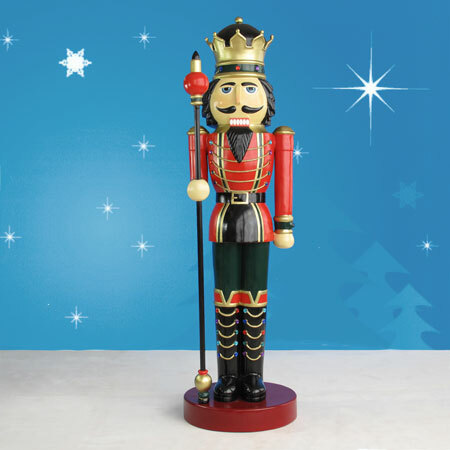 Constructed from durable fiberglass that's resistant to chipping, this Heinimex nutcracker can be placed both indoors and outdoors season after season. 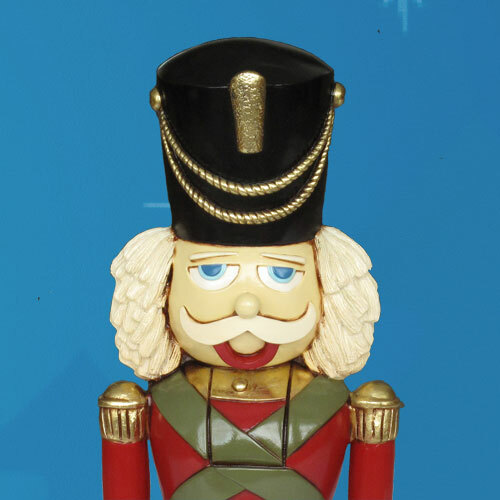 This figure is designed by Heinimex as part of the Heinimex Nutcracker Collection and features vivid, painted embellishments and big facial personality. 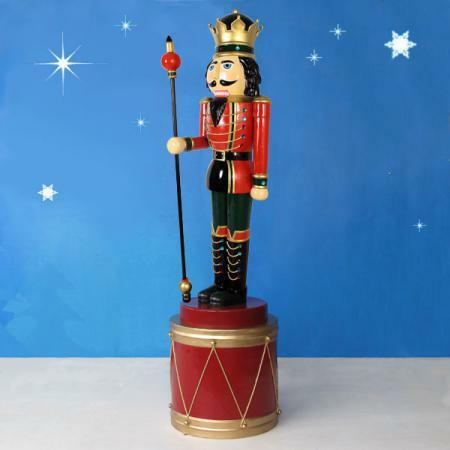 Heinimex outdoor nutcrackers come in many styles and sizes at Christmas Night Inc., including this 6-foot high version. Dimensions: L 12in. W 13in. H 32in. Shipping dimensions: L 15in. 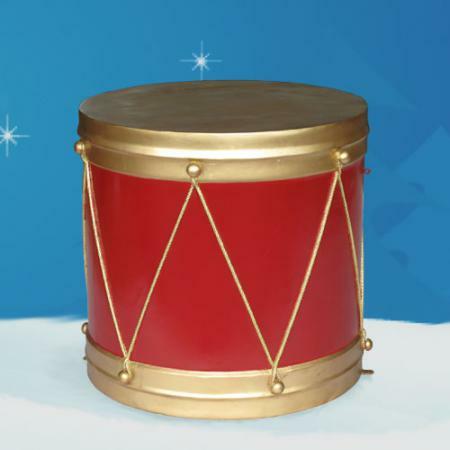 W 15in. H 36in. 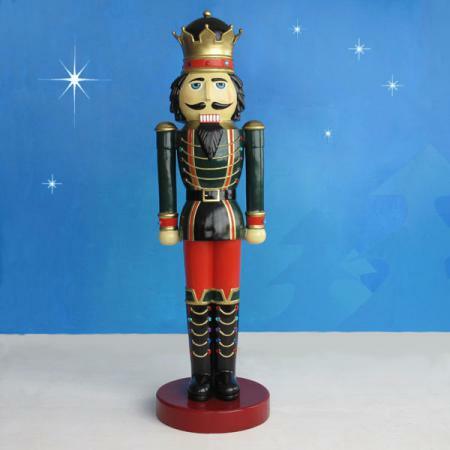 It is a very cute and well made nutcracker. It is only about 32" and in this case, every inch makes a world of difference. 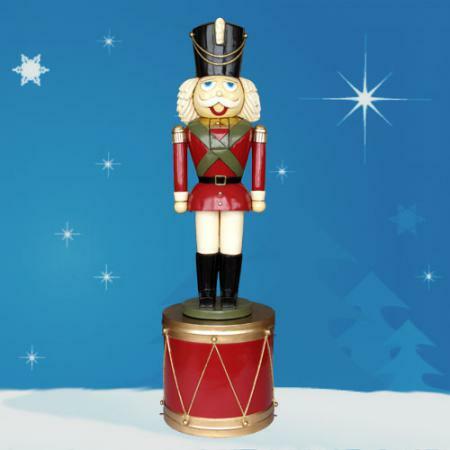 Otherwise, love it and it matches the 6' tall ones we also bought.